Life365 Inc. announced a joint initiative with American Medical Response (AMR) to deliver remote care management services to patient populations in communities across the U.S. Life365’s connected health solutions will be utilized by AMR through their Mobile Integrated Healthcare service lines to provide an engaging patient experience that leads to better health outcomes for patients and reduced healthcare costs for organizations. The home is becoming an extension of the community health system, where organizations like AMR can provide personalized care based on the needs of the patient, and technology can be used to provide continuous feedback to care teams for better patient outcomes. 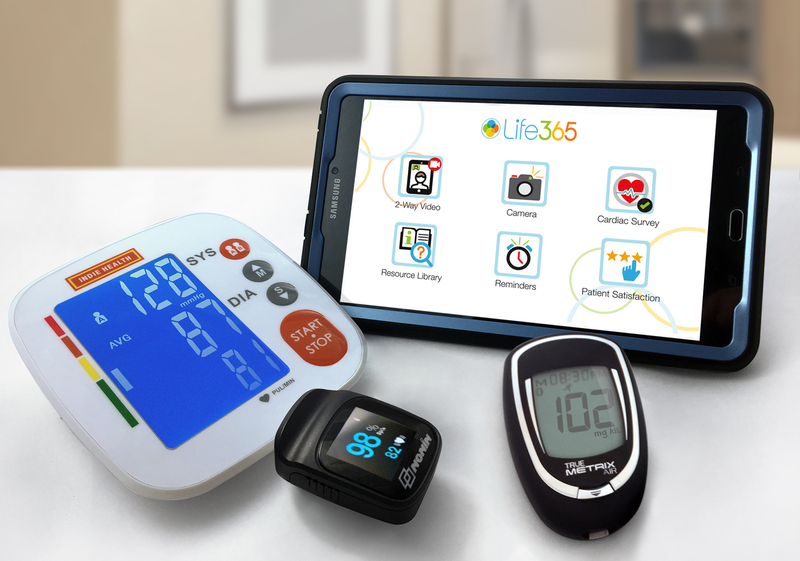 Life365 Inc., a digital health platform provider, today announced a joint initiative with American Medical Response (AMR) to deliver remote care management services for special patient populations in communities across the U.S.
Life365’s connected health solutions complement AMR’s innovative care delivery models through their Mobile Integrated Healthcare service lines. Working together, Life365 and AMR are focused on providing an engaging patient experience that leads to better health outcomes for patients and reduced costs for customers. Life365’s digital health platform and AMR’s Mobile Integrated Healthcare program allows health plans, healthcare systems and local communities across the U.S. to leverage the latest innovative technologies and the expertise of an interprofessional workforce of over 35,000 clinicians and support staff covering 47 states and the District of Columbia. AMR’s operational infrastructure allows paramedics, nurses and other care staff to provide high standards of care to patients by addressing their individual needs and identifying gaps in care. 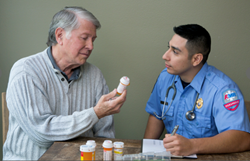 AMR care teams also help direct patients to appropriate levels of care when needed, whether it is the ER, urgent care center, or an appointment with a primary care physician. With AMR’s support, patients see improved health outcomes and organizations see substantial savings on patient care costs. Life365 supports AMR’s Integrated Healthcare program with proactive health monitoring tools used in the home. Connected medical devices, two-way video, patient education resources, health surveys, medication reminders, gamification, a digital therapeutic and other tools are used to boost patient engagement and enable earlier interventions for health issues. The innovative initiative allows Life365 to manage connectivity and technology while AMR’s care professionals work with the patient, and the patient’s care team, to focus on improving the overall experience and health outcomes of the populations they serve. Life365’s connected health platform facilitates technology deployment that enables healthcare systems to scale self-managed patient care solutions to the home. Life365 integrates devices, software applications, and patient engagement tools to enable improved health outcomes, operational efficiencies, and lower healthcare costs. Life365’s team members have over a decade of experience developing remote patient monitoring technology solutions. Life365 is based in Tempe, Arizona. For more information regarding Life365, please visit http://www.life365inc.com. AMR is America’s leading provider of ground and air medical transportation, providing services in 47 states and the District of Columbia with more than 35,000 clinicians & support personnel transporting approximately 5 million patients nationwide each year in critical, emergency and non-emergency situations. AMR is a holding of KKR, a leading global investment firm. AMR is headquartered in Greenwood Village, Colorado. For more information regarding AMR, please visit http://www.amr.net.